In 2009 I visited India for the first time of my life. 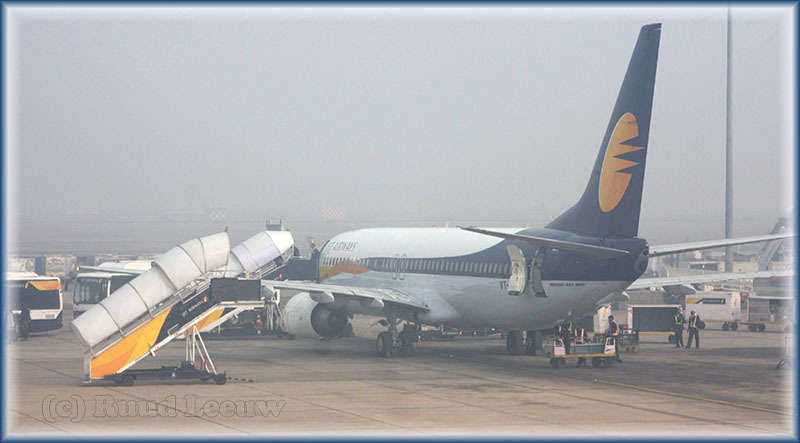 When we landed (VS300, 05Jan09) at Delhi, I had my camera ready. We landed in fog, eventhough it was around noon. I guess a first impression of India in soft focus is easier on the mind. 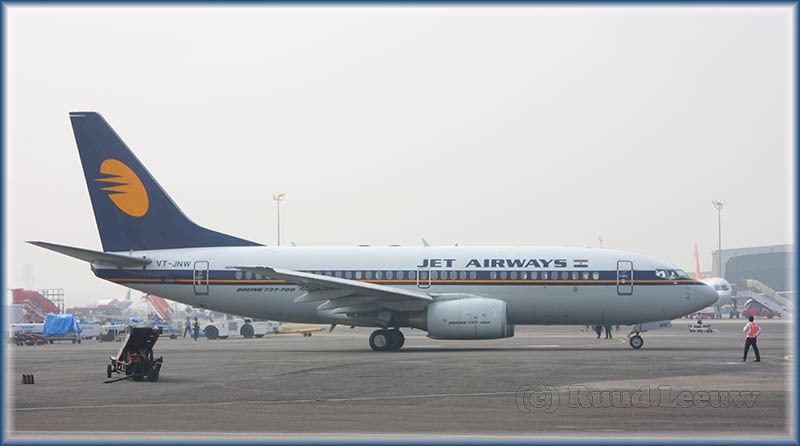 Above is Boeing 737-85R VT-JGP (c/n 34798/1920) in the old colourscheme. 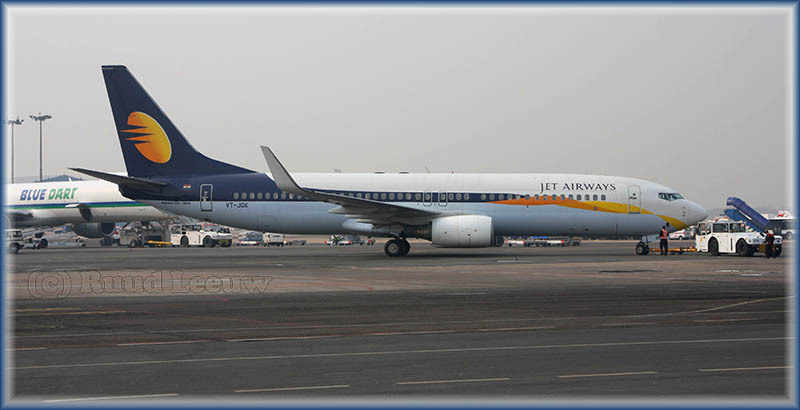 I also got a peak here at Delhi at Jet Airways' new colourscheme. Boeing 737-75R VT-JNW (c/n 30406/1016) just had its pushback and will roll under its own power any moment. 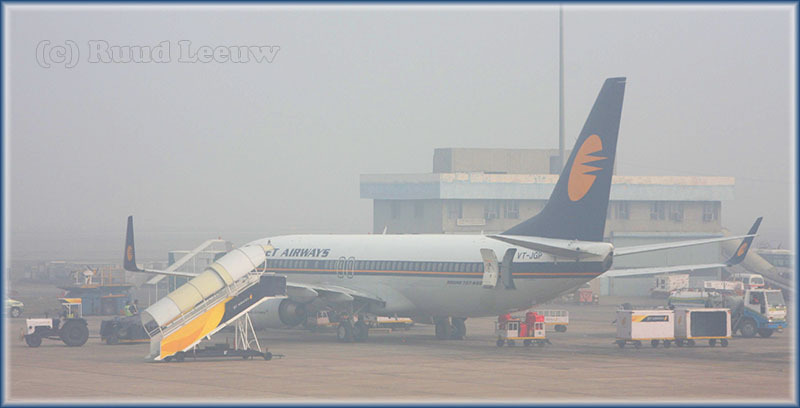 This photo was taken at Delhi on 18Jan09 while awaiting my flight with SpiceJet to Varanasi. 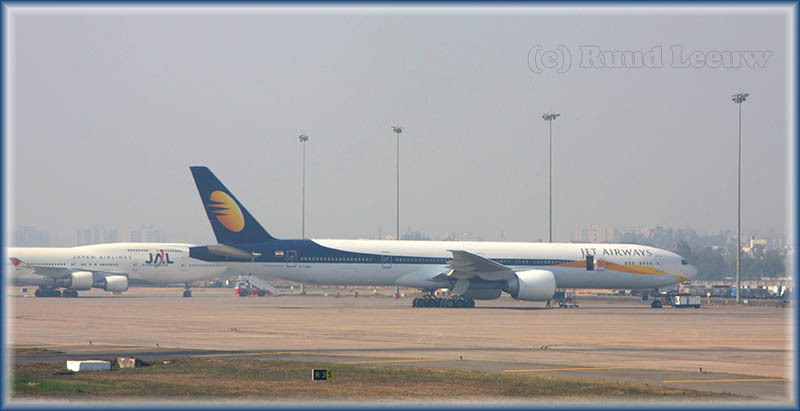 Boeing 777 of Jet Airways at Delhi. I could have flown this airline from London, but I opted for Virgin Atlantic. And no regrets, but maybe next time I'll start my 'Indian experience' with an Indian airline..